Different shapes beads harmonized together into a beautiful Tibetan earring. 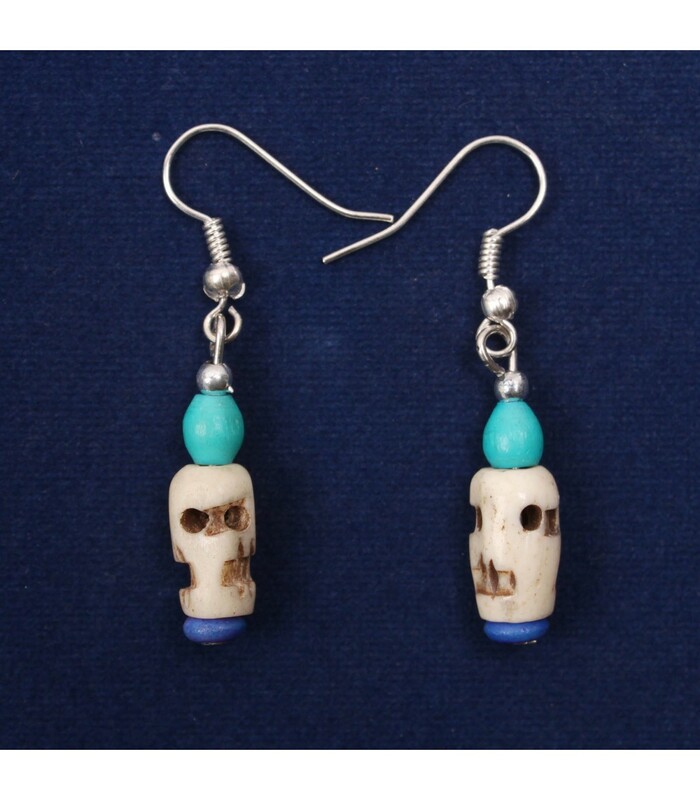 The white bead has a skull emitting shapes carved on it. Each peace is hand carved, so slight variation in pairs can be seen.